Proud dad to a 2 year old monster. I’d like to start by saying I’ve found becoming a Dad really tough. As in REALLY tough. Being a Dad is by no means a competition, but some of us Dads unfortunately get dealt those bad cards. For me, having a tiny premature baby, born tongue tied, and unable to suckle and feed, was an initial set back. We then moved onto 6 months of constant screaming, from a baby with insanely bad colic, and my wife experiencing severe postnatal depression. My newborn son weighing in at 4lb 9oz. Mental health wise, it’s been a serious challenge for me too. It takes a lot to admit that publicly. Becoming a father has drastically changed the way I process information, think, and see the world. News stories about children devastate me nowadays. I’m definitely more emotional. Becoming a Dad is the single hardest thing I’ve done. Sleep is for the weak. I now understand why sleep deprivation is a superb form of torture. There is no Haynes Dad manual. I wish there was, you just have to make it up whilst staggering around, right? I still don’t have a clue what I’m doing, or whether it’s right or wrong. Well that’s not strictly true – it’s gone from panic – to relying on miracles. Winging every minute and holding on for dear life. To redefine what patience really is, and then to regularly miss the mark. It’s not true when people say things get easier. I think you just become used to the increasing mayhem. Bodily fluids no longer bother me. 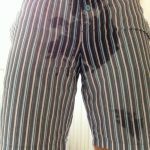 I have simply accepted my kid just constantly leaks, sometimes through multiple holes, with force. Got to love a towel. Every new day presents fresh struggles, but I’ve realised that’s just parenthood. Dad’s are the most resourceful creatures on the planet. Note to self: we need to make a list of those incredible Dad hacks that are out there. I hope to share more of my personal journey through fatherhood as the days go by. Right now, I’m super busy getting to grips with this incredible community Al and every Dadsnet member have created, which continues to grow and provide priceless camaraderie. I feel like I’ve landed the best gig on the planet – right after fatherhood. I really want to get to help grow our Dad communities, both locally, and online. The world needs Dads rallying together, in an effort to raise our future generations positively. As 21st century fathers, we have the power to challenge key issues, such as toxic masculinity, father’s rights and fair employment. 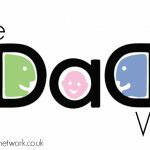 We are here to build a support network, that genuinely helps Dads, to do the hardest job there is. So, do please get in touch if you have any ideas, comments, plans or projects. You might just need some support, or want to raise an issue. Find me on Facebook, drop me a message or tag, and if you want me to feel extra special, send us an email on ben@thedadsnet.com.